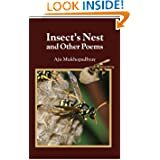 Aju Mukhopadhyay is a poet, essayist, feature and fiction writer. 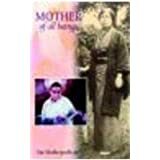 His features and articles include those on travel, food, health and culture, festivals, on Sri Aurobindo and the Mother, on Nature, Spiritualism and Environment and many other subjects. He has been writing short stories for many years. 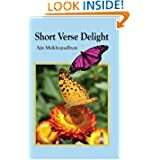 He has three books of short stories and two books of poems among his thirteen books in Bengali, which include poems, biographies, essays and translations. He edited two little magazines (Chhota Galpo and Sampratik Chhoto Galpo) for short stories in Bengali between 1967 and 1970. Some of his stories have been translated in other languages and included in anthologies. 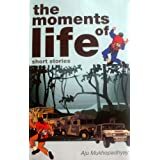 He has been awarded Certificate of Competence as a Published Writer by the Writers Bureau, Manchester, UK and awarded Best Poet of the Year-2003 by the Poets International, Bangalore, India. He is a member of the Research Board of Advisors of the American Biographical Institute. 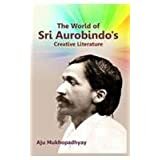 Aju Mukopadhyay’s latest work The World of Sri Aurobindo’s Creative Literature, recently published by AuthorsPress, N. Delhi in 2013, is yet another contribution to the ever increasing world of appreciative evaluation of Aurobindo literature. The writer has done tremendous work before undertaking the writing on the creative literature of Sri Aurobindo. 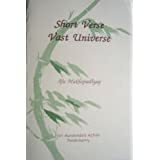 Only after having gone through the works of Sri Aurobindo and some of the critical works on the great literary giant and having acquired adequate knowledge of and mastery over the creative writings of Sri Aurobindo he has undertaken this critical venture on the great master. 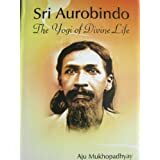 He has divided the book into twelve chapters with the first one as usual on Sri Aurobindo’s life which stretches from 15th August 1872 to 5th December 1950 covering a span of seventy-eight years, indeed a dynamic life vigorous with professional, political, literary, yogic and spiritual parts and activities connected with four different and distant places - Bengal, England, Baroda and Pondicherry.